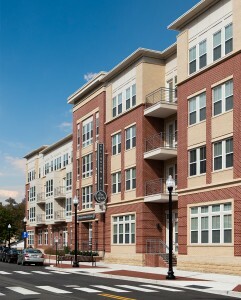 Arlington Mill Residences is a family-friendly affordable housing complex on Columbia Pike developed by the Arlington Partnership for Affordable Housing (APAH). It features a community room, underground parking, ample green space and a great location with easy access to nearby Glencarlyn Park and the Four Mile Run Bike Trail. Green building features include Energy Star-rated windows, tankless hot water heaters and energy-efficient appliances. By co-locating the Residences and Arlington Mill Community Center on county public land with a shared underground garage and shared infrastructure costs, the project saved nearly $9 million or about $75,000 per unit. The county provided the land to APAH through a discounted ground lease and APAH purchased a share of the common garage. 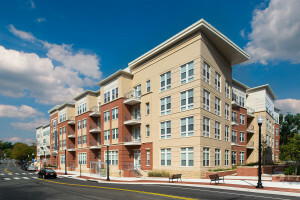 The unique financing structure enabled APAH to successfully compete for Low Income Housing Tax Credits for the $31 million affordable housing development. Arlington financed the $36 million Community Center with a combination of bonds and carry-over funds from FY 2011 and 2012. The Community Center is a state-of-the-art facility that brings the community of all ages together in the full-size gym, fitness room, multi-purpose rooms, classrooms and computer center. 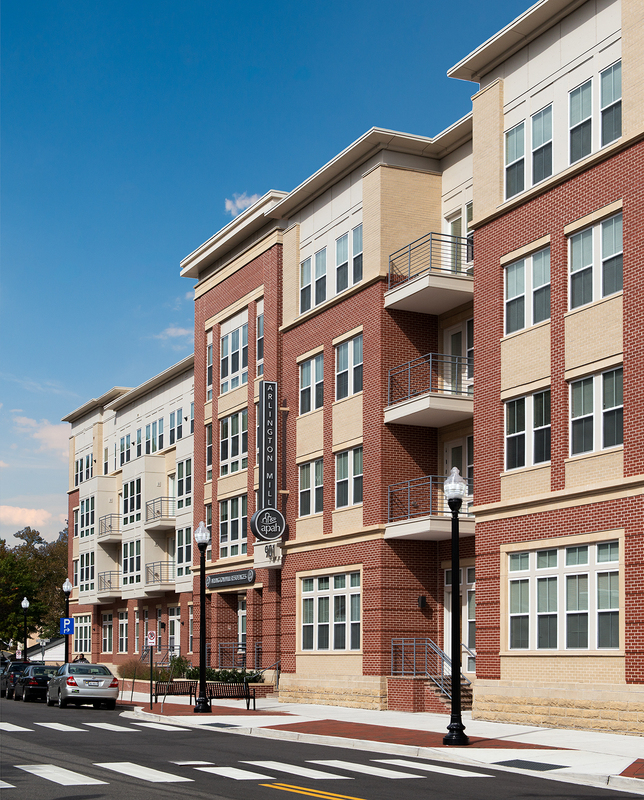 Completed by APAH in February 2014, Arlington Mill Residences is the first new affordable housing development of the Columbia Pike corridor revitalization effort and it has dramatically increased housing for low-income households. This four-story, 122-unit complex is 100% affordable and includes 98 two- and three-bedroom units to support larger families, and 13 units designated for formerly homeless individuals and families. This innovative project was part of a broader collaborative effort between the community, Arlington County, APAH, and the project team that resulted in a new recreation center, a senior center, affordable housing and a great outdoor space. Arlington Mill Community Center and Residences received several awards, including: a 2015 Urban Land Institute Washington Trends Award for “Excellence in Housing Development,” top honors for “Best Housing Development” at the 2014 Governor’s Housing Conference and recognition as EarthCraft Virginia’s “Multi Family New Construction Project of the Year” in 2014.